Haley has been visiting back home with her family this past week or so. Haley’s mom Patti is celebrating her 60th birthday! 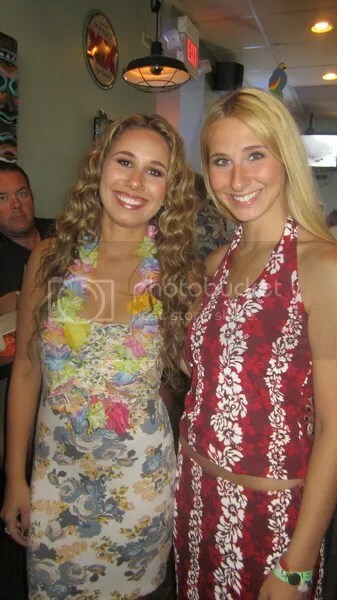 Fans of the Reinhart’s band “Midnight”, plus family and friends gathered at the PS Pub for their annual luau where Midnight was playing. To add to the fun, the family played a few songs together! 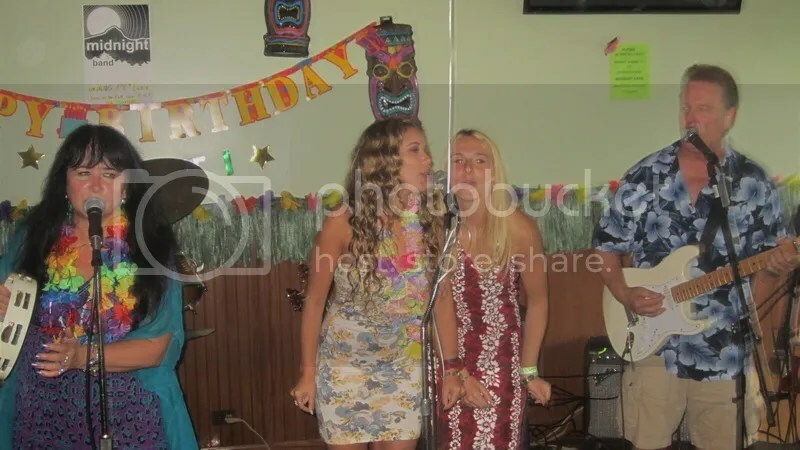 Haley sang “I Hear You Knocking”, “Wasted Tears” (with some backup vocals from her mom and sister Angie), “Piece of My Heart”, “Son of a Preacher Man”, and even sang “Blurred Lines” with the band! And of course they sang Happy Birthday to Patti, in Beatles fashion. It was a treat for fans who were there to celebrate with the Reinhart family. It is always nice to see Haley back home having fun with her family doing what they do best! Haliens in attendance kindly provided us with some pictures and videos from the event. Enjoy!